Nearly 200 people were stuck on an Amtrak train in rural eastern Oregon for two nights after it hit a tree that fell onto the tracks in a snowed-in city dealing with power outages. The Amtrak Coast Starlight train was near Eugene, Oregon, on its way to Los Angeles from Seattle Sunday evening when it struck the tree. None of the 183 passengers or crew were hurt, Amtrak said in a statement, but snow and fallen trees in Oakridge made conditions too difficult for the train to be taken out. It was finally on the move again Tuesday morning after Union Pacific crews were able to reach the train and clear the tracks. A representative for Amtrak had said that people on board had access to heat and food, though passengers told NBC News and local news outlets that it was difficult for some to cope. 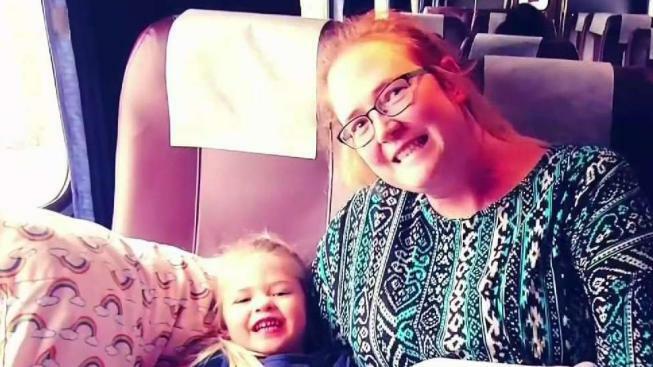 "We've had a couple of panic attacks that we've worked through," Rebekah Dodson said an interview that aired on NBC's TODAY show Tuesday. But she also said that most people got along — she even tweeted a selfie with a smiling crew member and praised staff for their professionalism. "There's nothing anybody can do to get us anywhere because of the weather," Dodson said. The city of Oakridge only has two small hotels and was dealing with power outages, so it wasn't a viable option to let passengers and crew get off the train, according to a statement from Union Pacific. Union Pacific said that one of its locomotives was pulling the train toward Eugene after its crews cleared the tracks. An Amtrak alert said the train was on its way back to Seattle. Amtrak Chief Operating Officer Scot Naparstek said in a statement that customers on the train would be offered "refunds and other compensation" after the "unfortunate" events stranded the train. "With more than a foot of heavy snow and numerous trees blocking the track, we made every decision in the best interest of the safety of our customers during the unfortunate sequence of events," Naparstek said. Dodson posted a video to Facebook from the moving train as it crawled through snowy forest. "Everybody's super-excited to be on the train, to be moving," she said, before other passengers chimed in to echo those comments. One woman said that people had tears in their eyes when the train started moving.